If Mazzy Star and My Bloody Valentine shared one thing in common then it was their mutual capacity to induce in the listener an almost euphoric stupor. For MBV, this came about through their woozily oscillating sonic textures; for Mazzy Star, primarily through David Roback’s retro slowmo jangle and Hope Sandoval’s sultry vocal delivery. 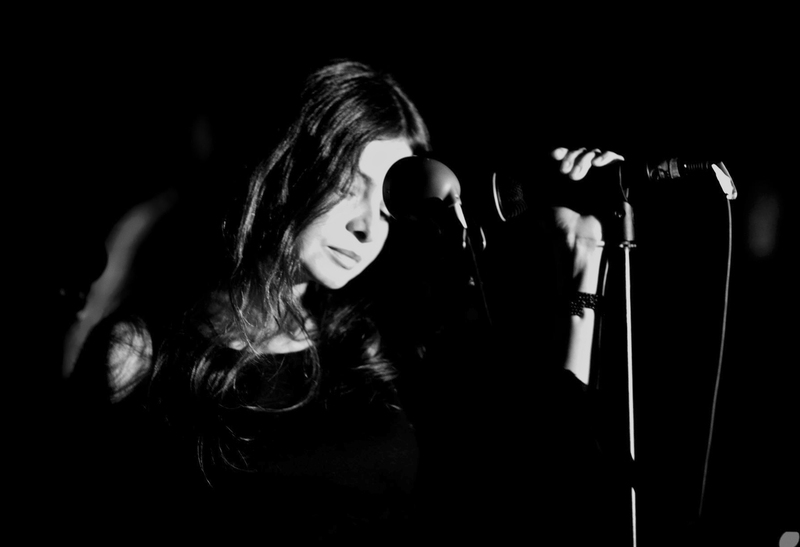 So it would have come as no surprise to some when, following a short-lived Mazzy Star reunion in 2000, Sandoval hooked up with MBVs Colm O’Ciosoig – ten years into rock’s longest and most public musical hiatus – to form a new band, The Warm Inventions. Their debut album ‘Bavarian Fruit Bread’, has a fairly mediocre critical standing, beset by the kind of ‘above average’ ‘7/10’ ‘pleasant listen’ approval ratings which I find hugely offensive. It means so much more to me – comfortably one of the new millennium’s Top 10 albums – that I would be prepared to arm wrestle a grizzly bear to defend it’s reputation. I fear the album may have instantly lost a few ears with its unassuming opener, a cover of the William Reid-penned ‘Drop’ (a CD only cast-off from the JAMCs 1989 album ‘Automatic’) With its stark plodding Johnny Cash guitar line it gives little indication of the treasures lying in wait. By the second track ‘Suzanne’ (interestingly, written prior to Mazzy Star’s formation), one’s expectations soon begin to soar. So what is it that makes this song so curiously beguiling? Perhaps the simple, languorously strummed rhythm guitar or Hope’s trademark flirtatious vocal? Or could it be the enchantingly hypnotic glockenspiel, suggestive of the opening moments of ‘The Velvet Underground & Nico’? Surely, all of these features make their individual contributions, but more particularly I would point to the production which here and elsewhere on the album is so crystal clear one can almost hear the guitar strings gently bend and feel the air blow through Hope’s wistful harmonica. On ‘Butterfly Mornings’ we hear the familiar intricate picking of guest guitarist, the late great, Bert Jansch. What sounds like a bizarre collaboration – the drummer from indie avant-noise pioneers MBV and the folk guitar legend is in fact the most melodious of marriages. Jansch’s playing on this and on the equally gorgeous ‘Charlotte’ is never unnecessarily complex, demonstrating great sympathy for the album’s soporific spirit. It’s a spirit which does not for a moment relent. Each time I hear the first few bars of ‘On The Low’ I still expect to hear Tim Buckley’s opening line to ‘Morning Glory’, but in truth any disappointment is short-lived and this song may be the equal of its illustrious ancestor. A genuine highlight, it further augments the album’s narcotic timbre, and is enhanced immeasurably by Hope’s achingly beautiful harmonica accompaniment, which is outstanding throughout the album – whether it be showcased here or by her languid blues playing on ‘Suzanne’ and even when replete with treatments as on the wonderful ‘Clear Day’. Yes great album, euphoric and somnolent at once. Feels like art. Sounds like giant cushions.